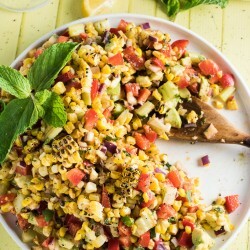 This Roasted Corn and Avocado Salad is full of sweet corn, creamy avocado, crunchy peppers and a delicious chipotle mint dressing. 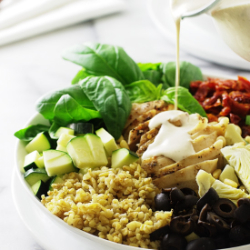 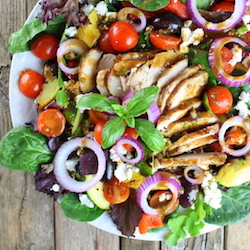 This hearty Mediterranean Grilled Chicken Salad is full of grilled veggies & chicken, feta cheese, and a delightful Basil Balsamic Dressing. 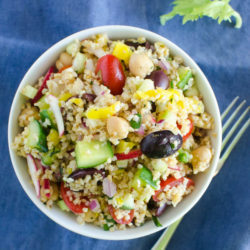 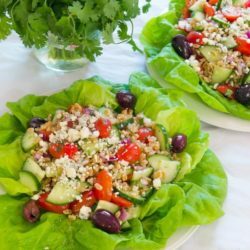 Chewy nutty farro is the star with the Mediterranean flavors of lemon, cucumbers, tomatoes and Kalamata olives giving the salad a light summery taste. 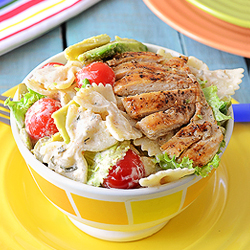 Perfect recipe for when you want something tasty to make but you are a bit too lazy as this one is easy to make. 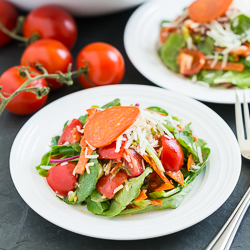 Bistro Carrot Salad is a mainstay at bistros all over France. 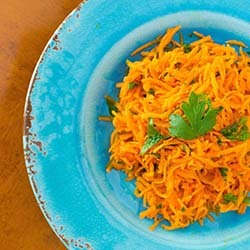 Grated carrots and parsley in a lemon vinaigrette. 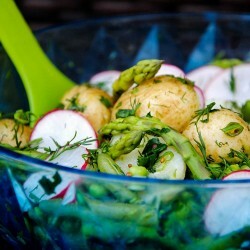 Delicious and very French! 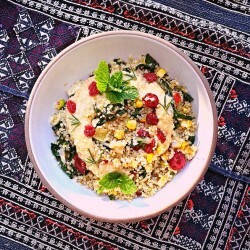 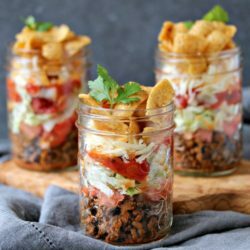 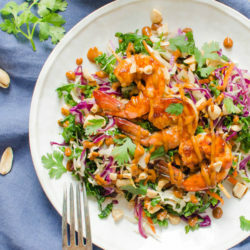 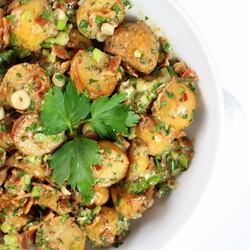 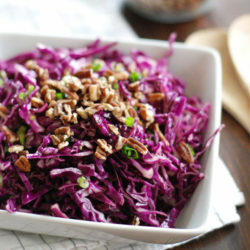 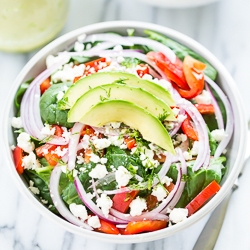 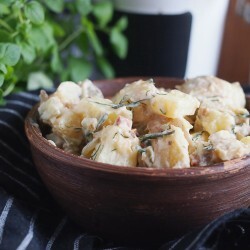 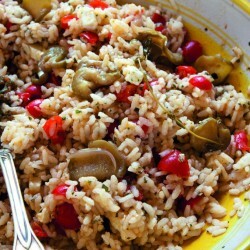 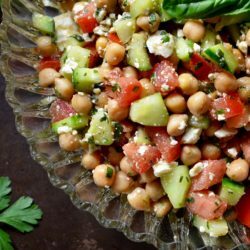 Quick, healthy and flavorful! 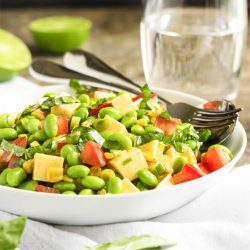 Toasted corn, creamy cheese, spicy scallions, and yummy edamame will have you going back for seconds. 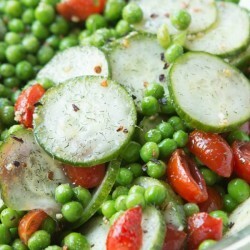 Crisp and fresh dill pea salad with cucumbers and juicy tomatoes! 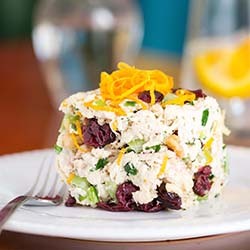 Cranberry Walnut Chicken Salad is classic chicken salad made with avocado mayonnaise and dotted with cranberries, walnuts, and a hint of orange zest. 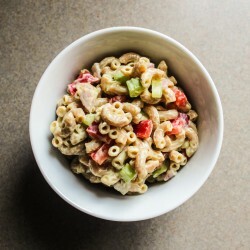 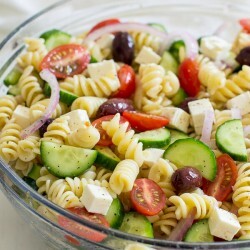 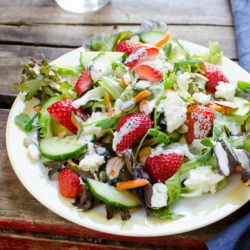 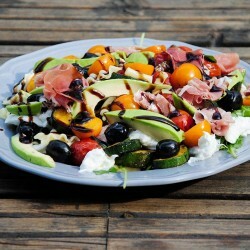 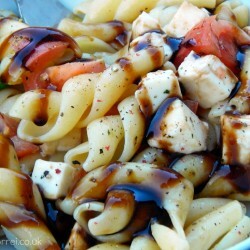 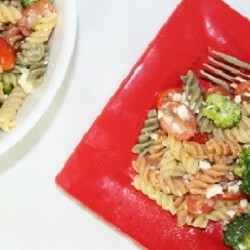 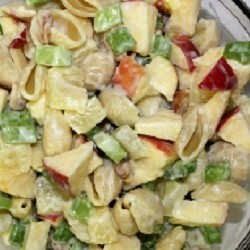 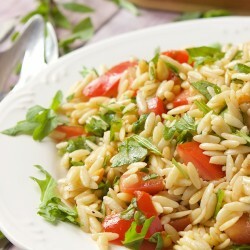 This is a yummy light pasta salad. 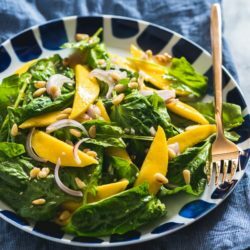 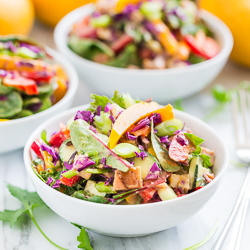 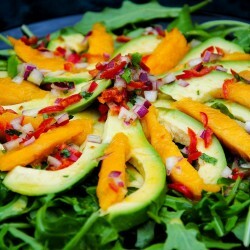 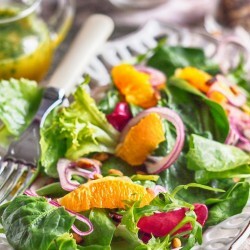 Easy, fast and delicious spinach and orange salad with orange dressing. 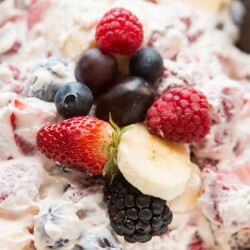 Ummmmm I could eat this cheesecake fruit salad for the rest of my life and die happy.